When reviewing the event log you will see the following error and you get the error in the screen shot below. 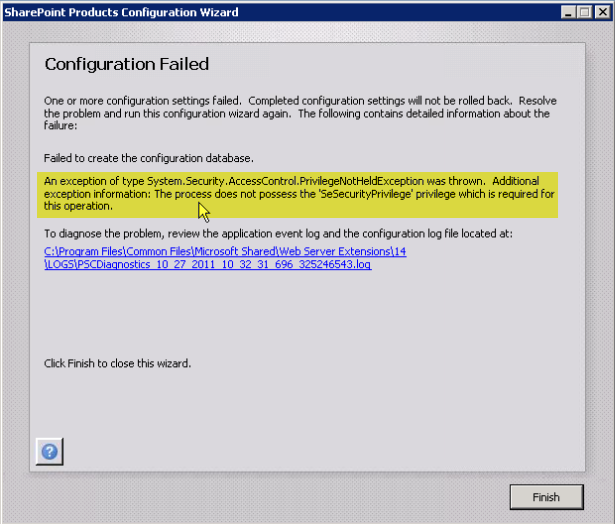 In this particular case the problem came down to the account running the configuration wizard not having “Manage auditing and security log” rights in Group Policy. 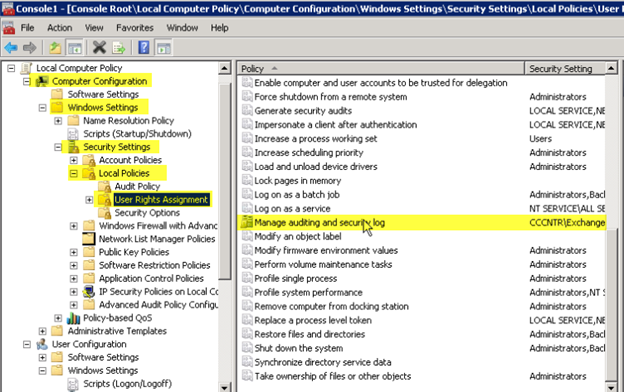 This setting was modified by a GPO in Active Directory. 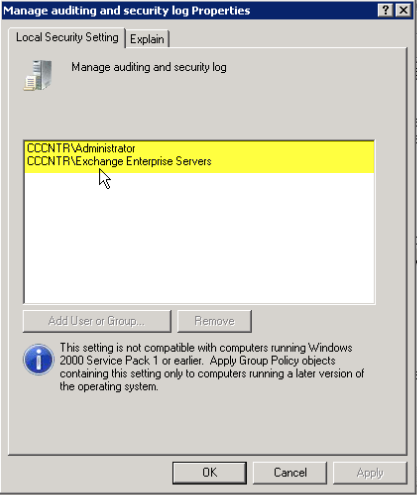 We can see that this GPO was modified, in this case, probably for Exchange because “Exchange Enterprise Servers” was explicitly added. Add MOSS 2007 or SharePoint 2010 Service Accounts to this GPO – This is not recommended because we do not know what else is configured in this GPO that can cause issues. Move the computer account to an OU that is blocking inheritance. – This is the preferred method because we don’t know what else is configured in the GPO that can cause other issues. This entry was posted on Thursday, December 15th, 2011 at 12:04 am and is filed under Active Directory, SharePoint 2007, SharePoint 2010. You can follow any responses to this entry through the RSS 2.0 feed. You can leave a response, or trackback from your own site. Can this policy be removed once the installation is complete?